Mum had become more health conscious these few years after some warning from the doctor on her routine checkup, the first choice she made is to have us eat healthier food as her. However since we work normal office hours and always have activities after work, we tend to have our lunch and dinner outside. Thus, she put in all her energy to make us eat healthy breakfast. marketer of bakery products had announced the launch of the Sunshine Extra Fine Sprouted Wholemeal Bread. 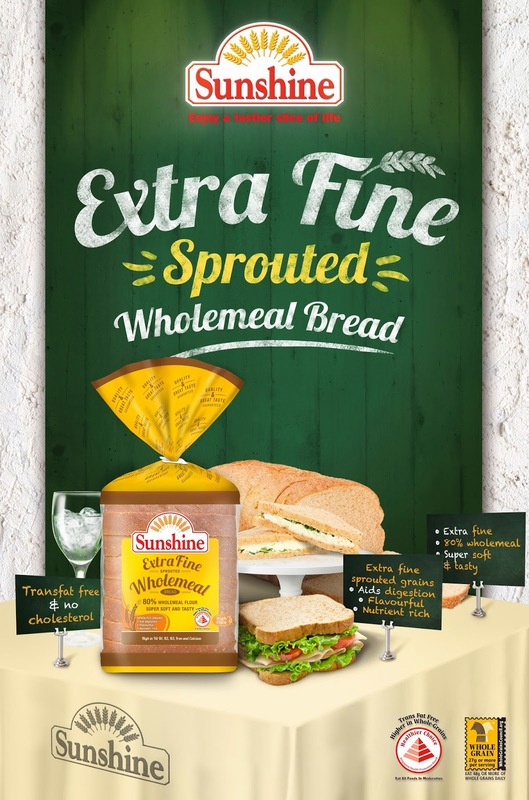 Sunshine Extra Fine Sprouted Wholemeal Bread is here in Singapore! What’s with the Sprouted Wholemeal Bread? With the right moisture and temperature, seeds naturally start sprouting. When a grain kernel begins to sprout, the process unlocks many of the grain’s nutrients, making them easier to be absorbed by our bodies. Grains store their energy in the form of starch, a complex carbohydrate that taxes our digestion. Sprouting activates the transformation of starch into simpler molecules, improves the low glycemic index and makes it easier for our digestion. Studies have shown that sprouting increases folate, Vitamins Bs and C, as well as iron, essential amino acids, while reducing gluten load. It also increases soluble fiber, which helps maintain healthy blood sugar and cholesterol levels. In turn, this reduces the risks of diabetes and heart diseases. Research shows sprouted grains are gentler on our digestion, have higher levels of fiber, folate, vitamins, minerals and antioxidants. It also has lower glycemic impact, which helps keep blood sugar healthy. 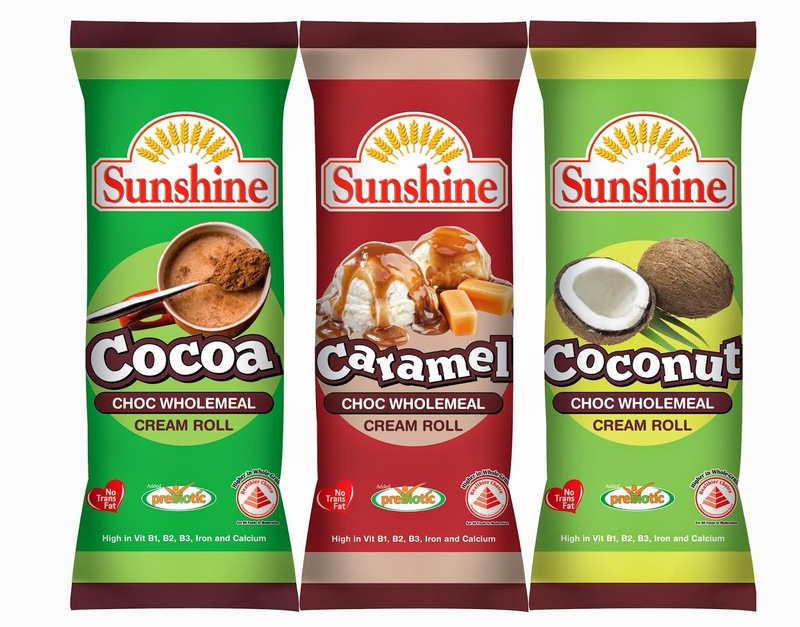 Sunshine Bakeries is committed to create healthier innovation in the bakery space, and to add variety to it’s healthy chain of products, it is also unveiling three new additions to the Choc Wholemeal Cream Roll Range that push the envelope of traditional cream rolls. Who says health food does not taste good? Conveniently packed as a snack, anywhere and anytime, these chocolate wholemeal cream rolls are delicious, contain higher whole-grains, and fortified with Prebiotics (which promotes the growth of good bacteria to maintain a healthy digestive system). They are also enriched with Vitamins B1, B2, B3, which helps to release energy from proteins, fats, and carbohydrates. The entire range also received the Healthier Choice certification from the HPB. Glad that all these new products are now available in all leading supermarkets, convenience stores and petrol marts – mum will not have problem hunting for her choice of healthy breakfast!